Halloween is a child's favorite holiday. The events of the day tantalize many emotional aspects within children and adults alike. Halloween can represent and bring back many childhood memories for us as adults...tantalizing! Is it overstimulating for children? Surely it can be, but it is a short-lived experience with long-term implications for resiliency as we intentionally guide our children through the day. Adults can be playful and engaged while considering the needs of each child, looking for signs that they may need support or guidance if they seem overwhelmed or overstimulated. Partnering with children in this way has many benefits as we shepherd their emotional development, using Halloween as the tool. 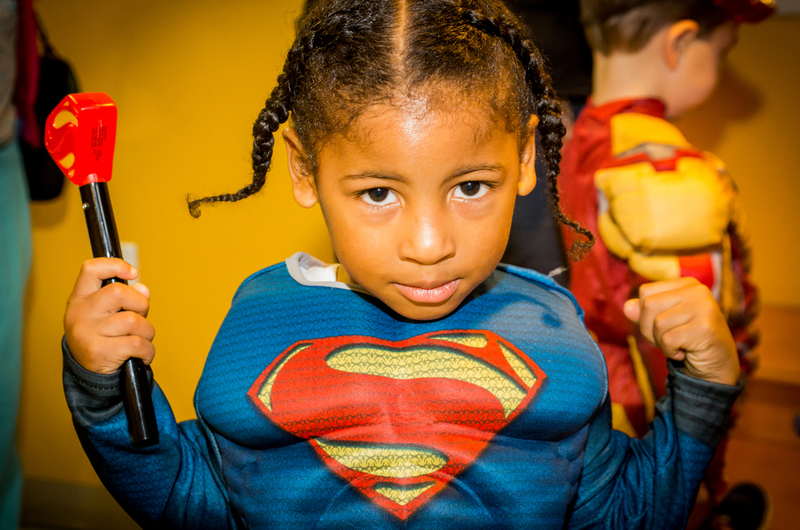 It can be overstimulating for children to take on another persona....I am SUPERMAN! They take on all aspects of SUPERMAN, the most powerful person on earth. There are GOOD SUPERMEN and BAD SUPERMEN, and this tension enables a child to explore and sometimes conquer their fears, at least in the short term. They get and take the opportunity to "try on" power from a different dimension. Yes, it can be overstimulating for a finite period, BUT, at the end of the day, they regain the comfort of being “myself” after all. “Isn't it great to be me!” in a place that is comfortable and where they keep me safe while I explore what it means to be SUPERMAN! So today, it will be curious to observe our children and guide them through the post Halloween Blues. I don't believe it is all about sugar as much as the residual effects of BEING SUPERMAN!